Feliz Navidad, Spanish Text Made With Flour, Surrounded By Christmas.. Stock Photo, Picture And Royalty Free Image. Image 107523551. 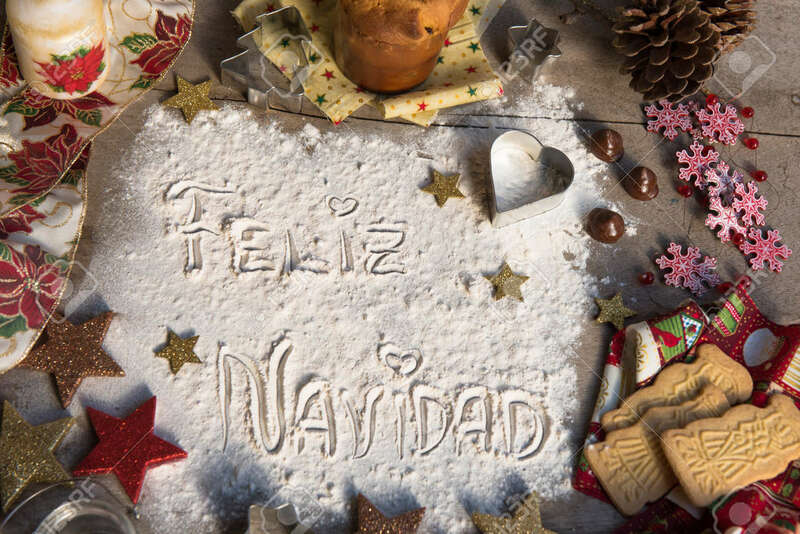 Stock Photo - Feliz Navidad, spanish text made with flour, surrounded by Christmas decorations. Seasonal concept. Feliz Navidad, spanish text made with flour, surrounded by Christmas decorations. Seasonal concept.